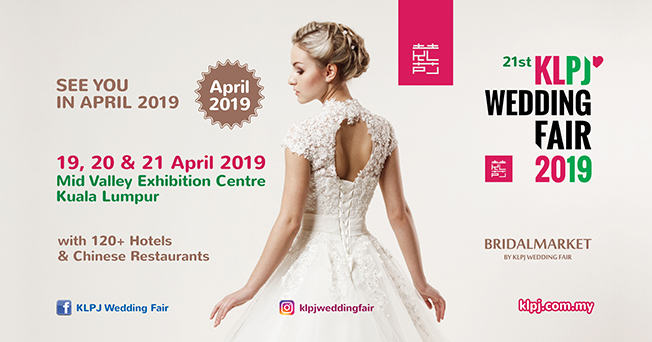 21st KLPJ Wedding Fair 2019 on 19, 20 & 21 April 2019 at Mid Valley Exhibition Centre, Kuala Lumpur is the largest wedding expo in Malaysia since 2008. For couples who wish to tie-the-knot, begin your wedding planning here! Find your preferred Pre-Wedding Photography Studio from Malaysia's Award Winning Top Bridal Houses here from PJ SS2, Damansara, Kuala Lumpur, Johor Bahru and Penang. Walk and sit wherever you wish - there will be no limitations of where you must go or sit! Our hopes and desires are for couples to make their wedding planning experience an exciting, meaningful and comfortable in a unique and inspiring space! Dare we say, our wedding exhibitors are Malaysia's finest wedding suppliers! KLPJ Wedding Fair is filled with creative vendors that have been thoughtfully curated. They are Malaysian's favourite - highly recommended, highly recognised, strong branding & reputations, and most importantly friendly customer service. Introducing our key features; The Bridal Market - The largest marketplace in Malaysia for brides-to-be to happily source for Hotels, Restaurants & many other Wedding-Related Services. Stress-free, fun & hip - all under one roof! Source everything you need here from Malaysia's Best Wedding Suppliers - Wedding Gown, Wedding Dress, Wedding Shoes, Wedding Jewellery, Wedding Live Band, Photobooth, Wedding Planner, Wedding Decoration, Florists, Bridal Make-up, etc. KLPJ Wedding Fair is the only bridal fair in 2019 to incorporate more than 120 Hotels & Restaurants under The Bridal Market. Plan your dream wedding within your budget or in the most luxurious 5-star hotel banquets. Search your preferred auspicious and available wedding date for your wedding dinner all under one roof at Mid Valley Exhibition Centre from various participating Wedding Banquet Venues from all over Malaysia. 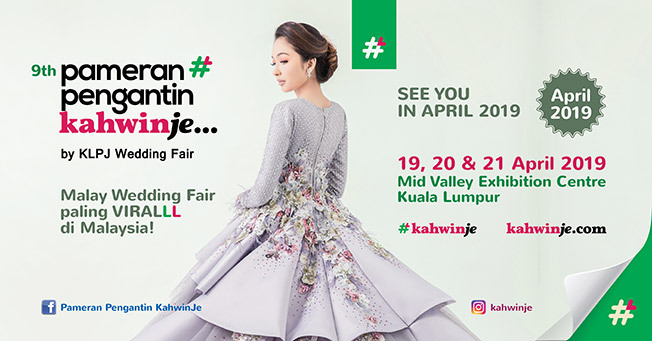 KLPJ Wedding Fair is now an integrated wedding community targeting the Malaysia's 3 main races (Chinese, Malay & Indian) and also the very niche market in Malaysia; couples & brides-to-be. A 3-days face-to-face marketplace with targeted 55,000 customers with valuable content, engagement & experiences. All times are GMT +8. The time now is 11:05 PM.